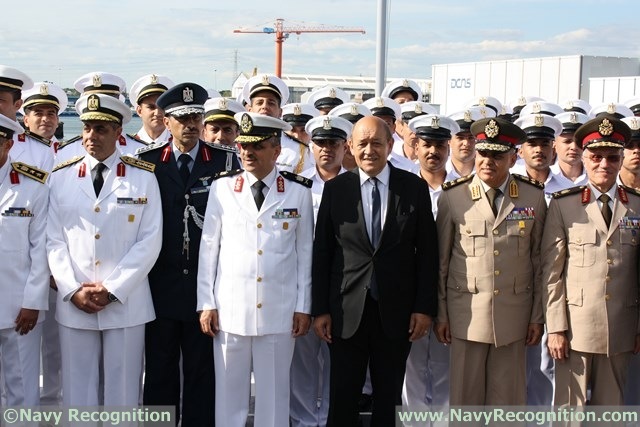 The Chief of Staff of the French Navy (left), French Defense Minister (center) and Egyptian Defense Minister attended the ceremony. 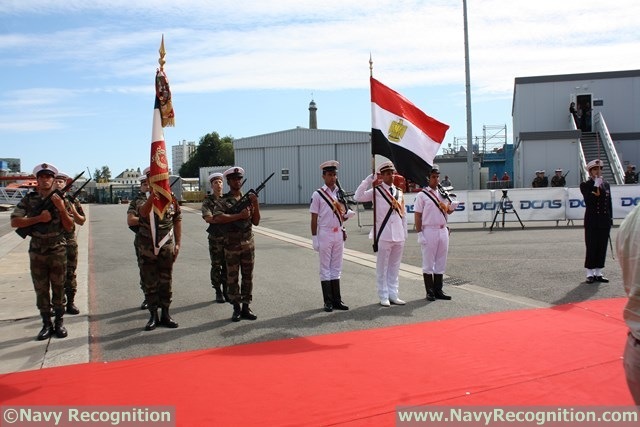 The ceremony took place in presence of General Sedki Sobhy, the Ministry of Defense of the Arab Republic of Egypt, Jean-Yves Le Drian, the French Ministry of Defense, Admiral Osama Rabie, Commander in Chief of the Egyptian Navy, Admiral Bernard Rogel, the French Chief of Navy and Hervé Guillou, Chairman & CEO of DCNS. 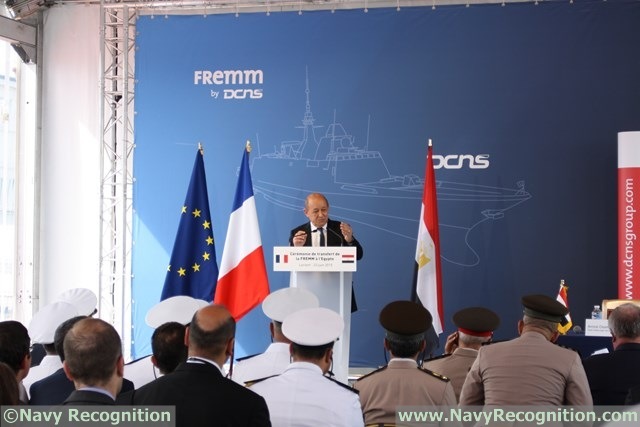 This important event marked the transfer of ownership of the FREMM Tahya Misr from DCNS to the Egyptian Navy. 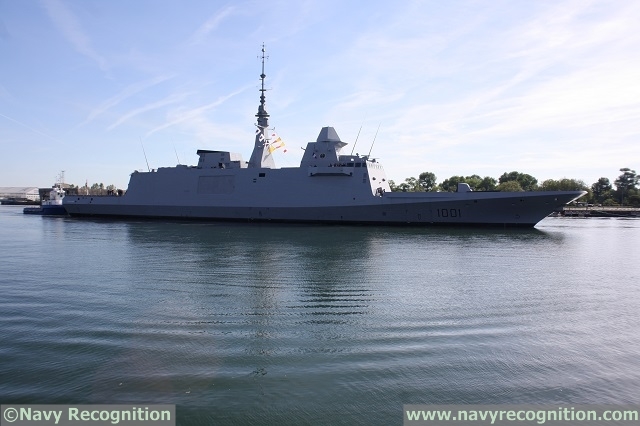 Originally named Normandie, the Frigate was intended for the French Navy (second Aquitaine class frigate for the French Navy). 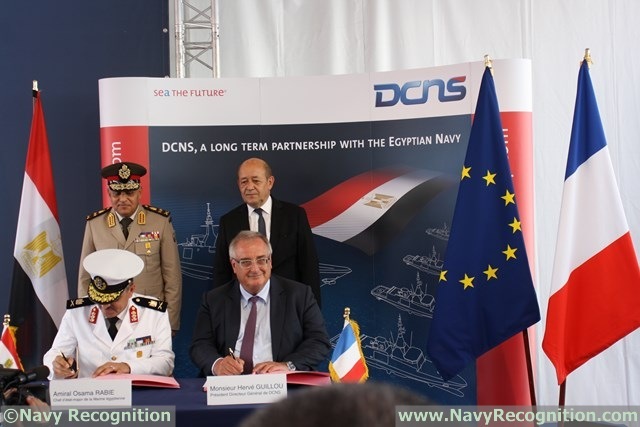 On Monday 16 February 2015 however, DCNS signed a contract with the Ministry of Defence of the Arab Republic of Egypt for the supply of the FREMM Normandie multi-mission frigate. 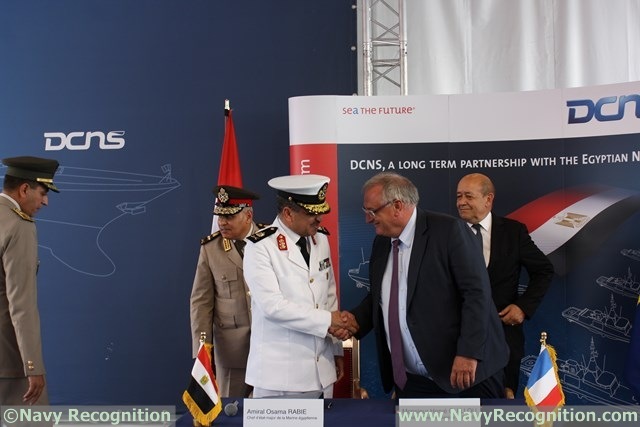 This agreement strengthened the strategic relations initiated by DCNS last July with the signing of a contract to supply four Gowind 2500 corvettes. 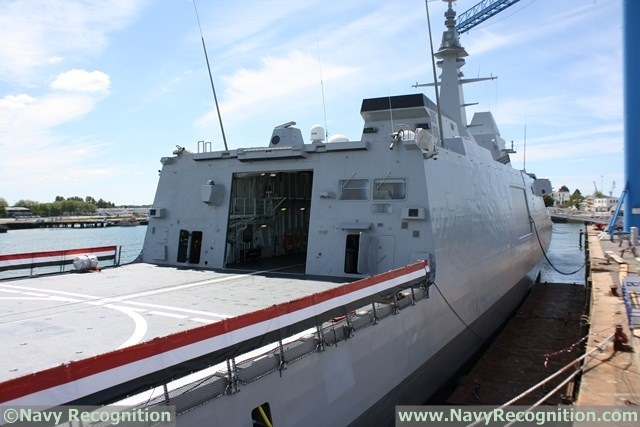 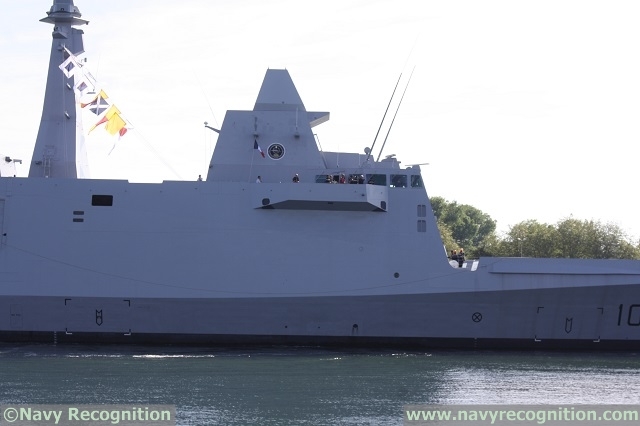 Egypt becomes the second export customer of the FREMM after Morocco and second customer of the Gowind 2500 after Malaysia. 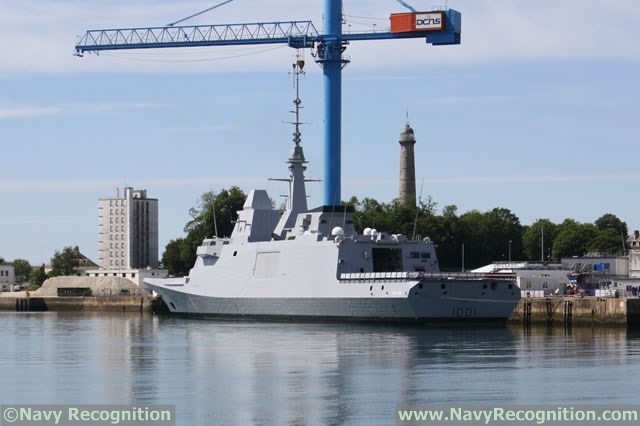 In addition to the vessel, the contract includes support and through life support services for five years as well as training by DCI NAVCO acting as contractor to DCNS. 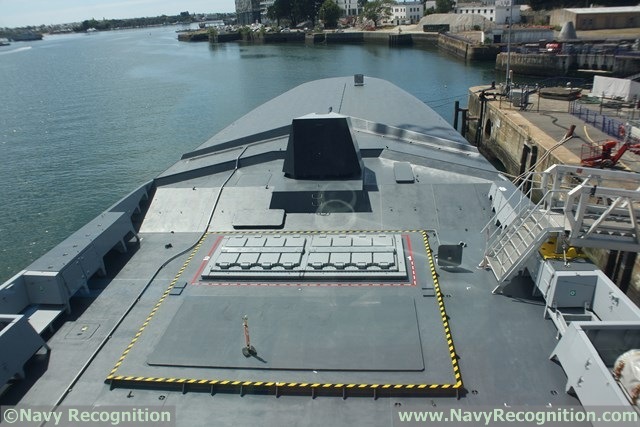 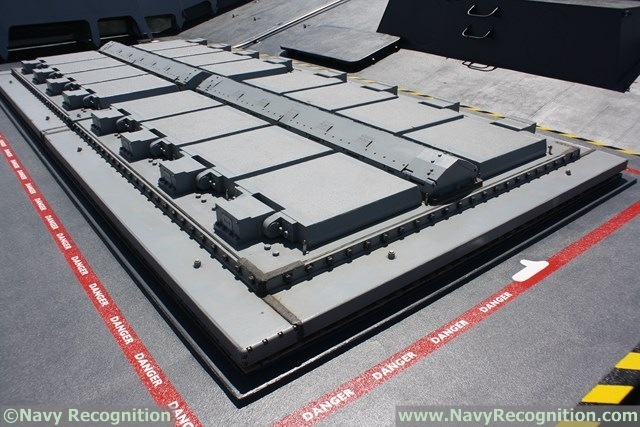 All other weapons, systems and equipments remains similar to French Navy’s Aquitaine class, including the two Nexter Narwhal 20B remote weapon stations (contrary to the Mohammed VI where they are not installed). 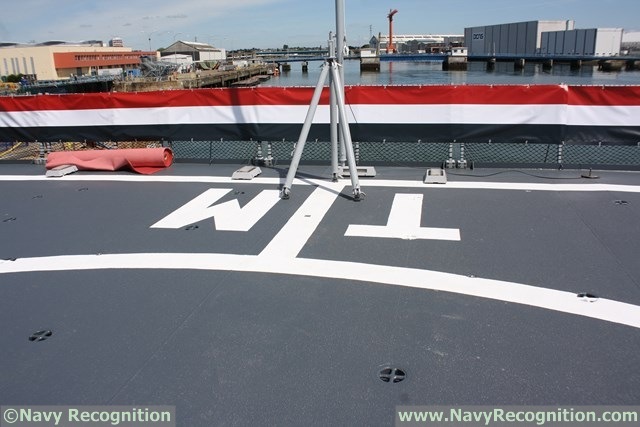 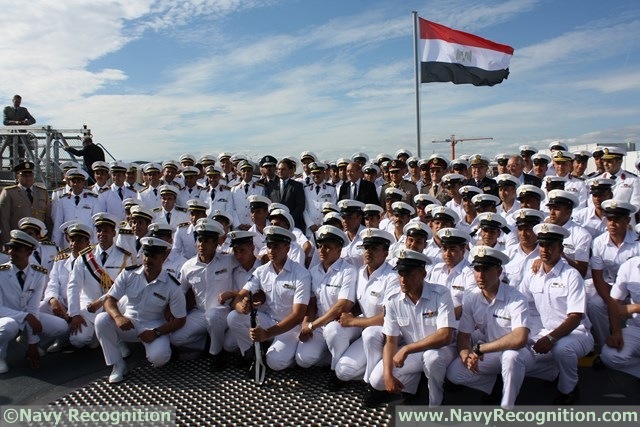 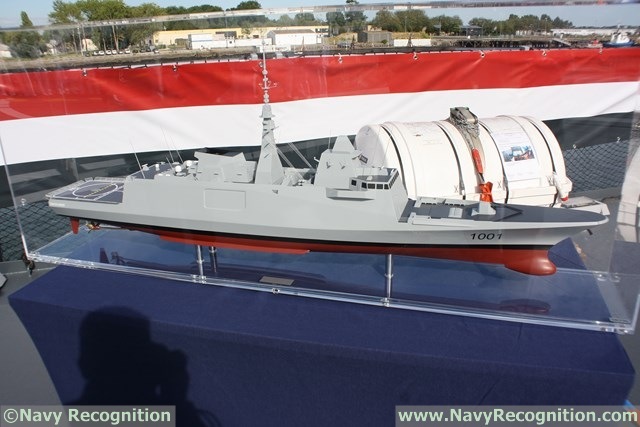 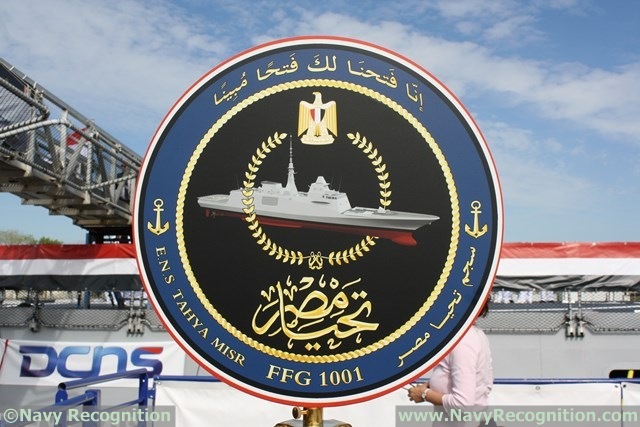 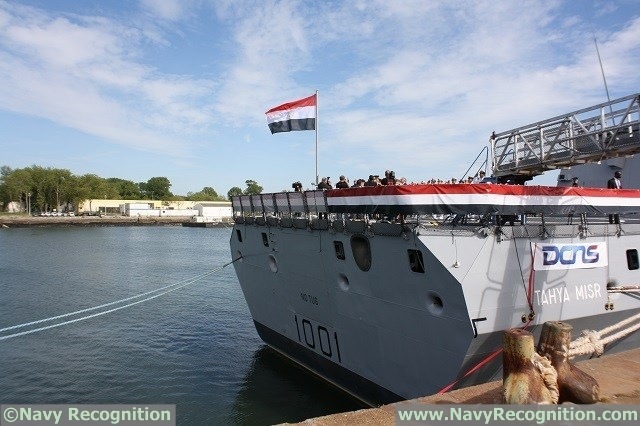 Acquired (at a expedited pace) for the Suez Canal commemoration ceremony to be held in early August, the Tahya Misr is set to become one of the most powerful surface combatant in the MENA region. 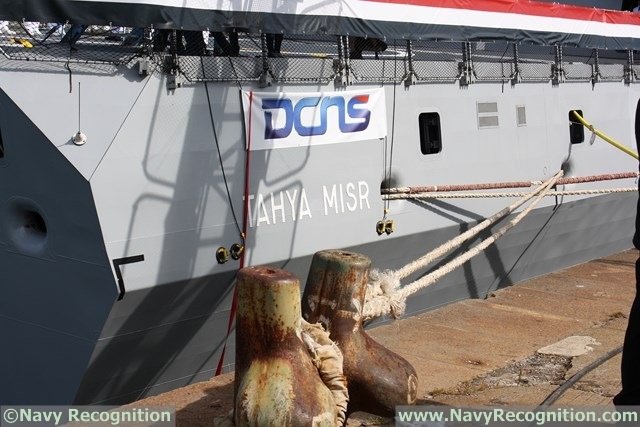 The Tahya Misr going out of DCNS shipyard the day after the transfer ceremony for her first sea trials with the Egyptian Navy crew onboard. 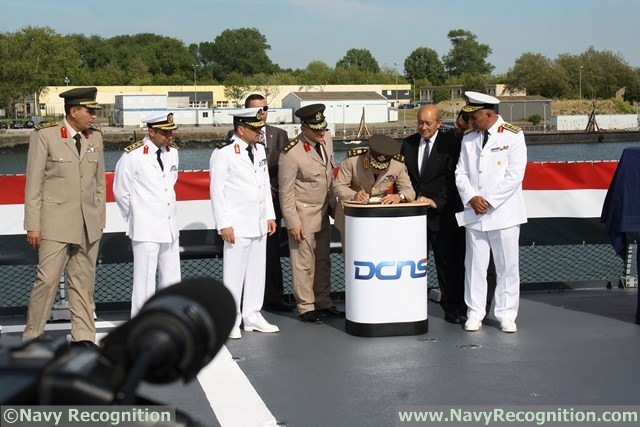 "A year ago, DCNS wrote the first lines of a strategic partnership bringing together the Group and the Egyptian Navy. 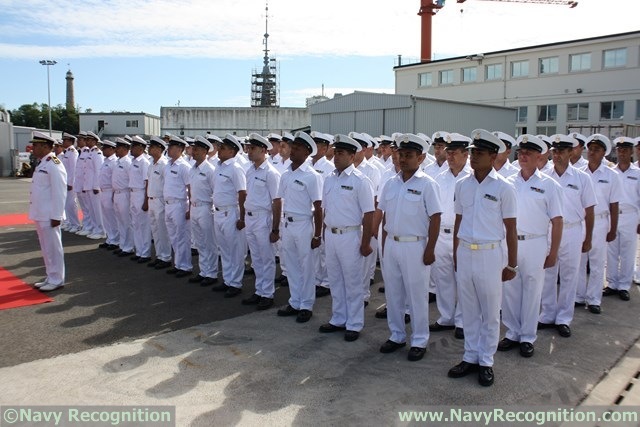 Today, this privileged tie has taken on a new dimension. 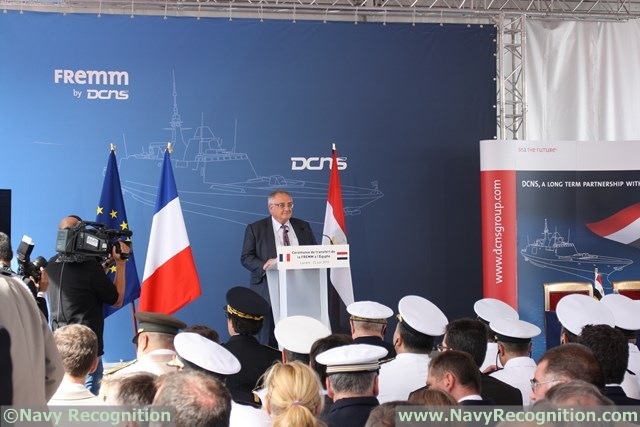 This event constitutes an important step in the crew taking on the FREMM", stated Hervé Guillou, Chairman & CEO of the DCNS Group. 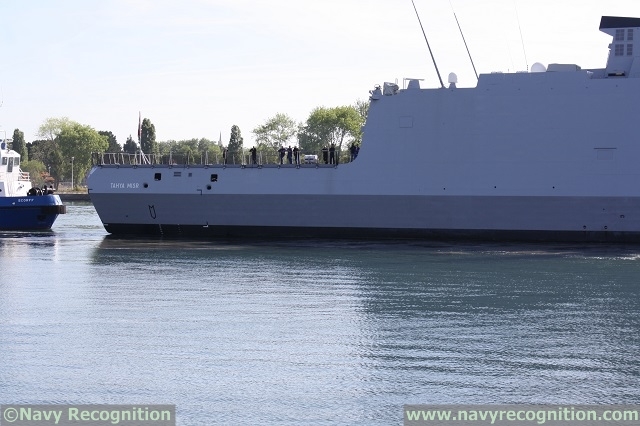 "The supply of this latest-generation frigate comes on top of the contract for four GOWIND 2500 corvettes signed in 2014. 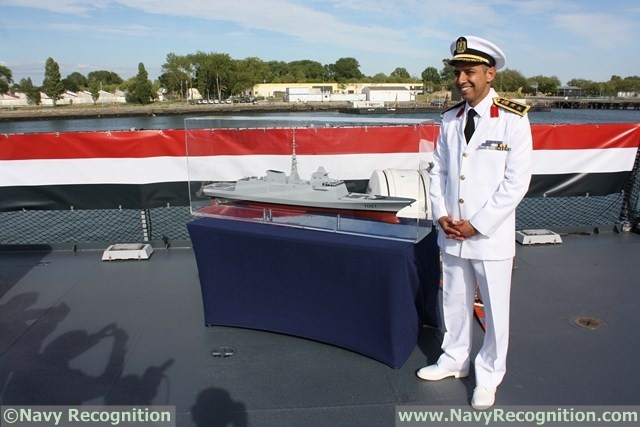 We are very proud to supply the Egyptian Navy with high-tech ships which will contribute towards the renewal of their surface-ship fleet" he added. 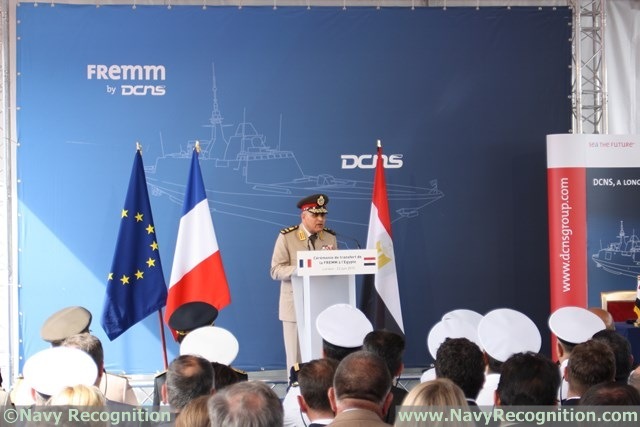 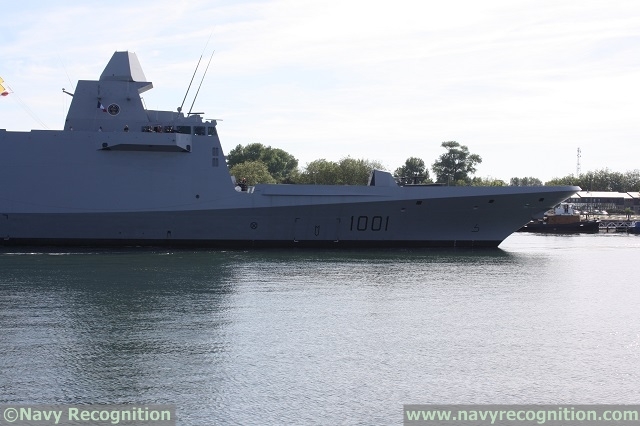 Since the signature of the contract on 16 February of this year with the Ministry of Defense of the Arab Republic of Egypt, for the supply of a FREMM multimission frigate, DCNS has carried out the adaptation and outfitting work required for the Egyptian Navy to take on the ship. 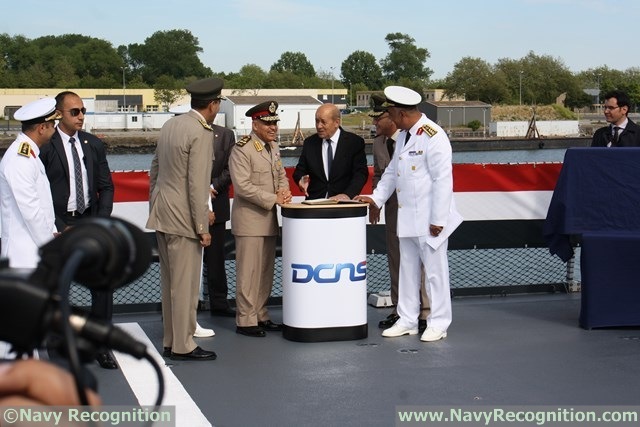 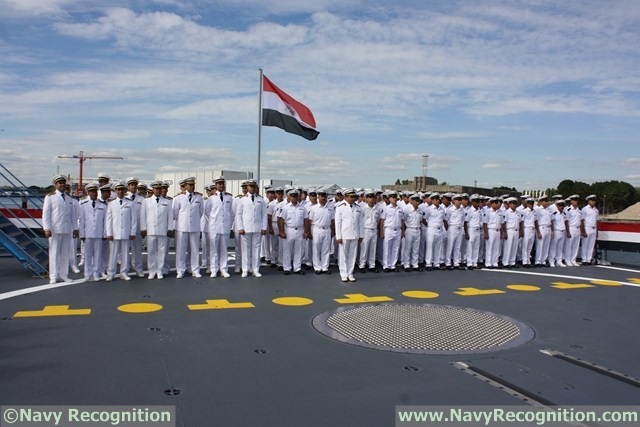 Furthermore, from March 2015, DCNS has been training the Egyptian crew. 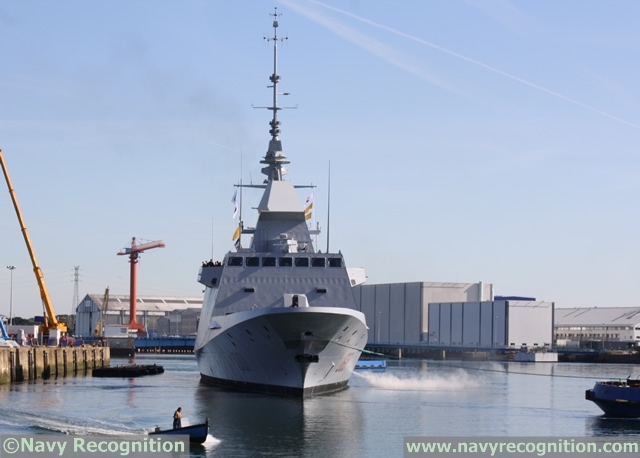 In order to operate such a highly-automated ship safely, DCNS and its partners accompany the crew for a period of 15 months. 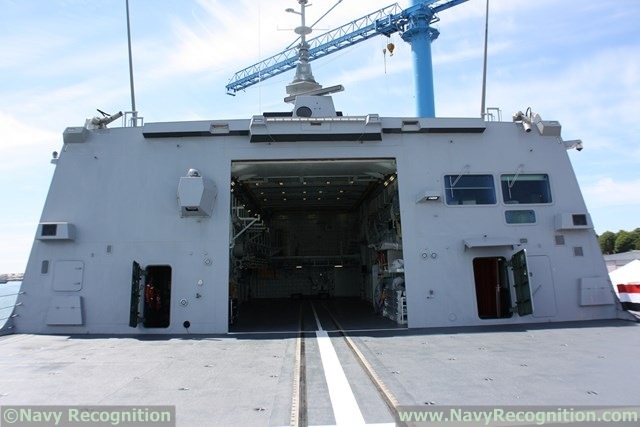 The program is composed of several phases: theoretical modules, on-land training using platforms and simulators and then onboard training both at the quayside and at sea. 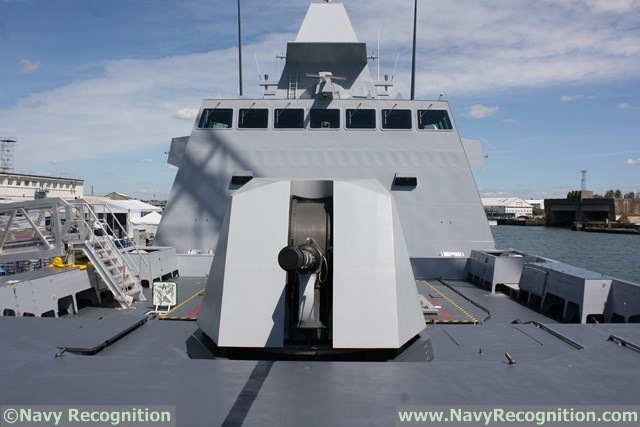 Multi-mission frigates are versatile vessels able to respond to all types of air, marine, submarine or land threats. 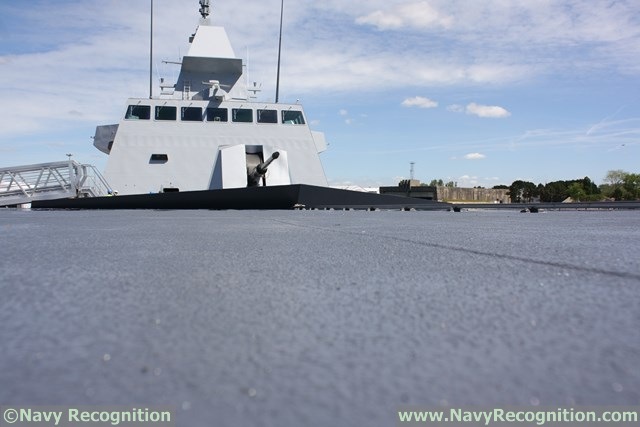 FREMM frigates are at the cutting edge of technology and are perfectly suited to ensuring that client navies are able to respond to current threats and the growing needs of maritime security.